Strong Pipkin’s client purchased an “all risk” insurance policy subscribed to by national and international insurers, including various syndicates of Lloyd’s of London. The policy covered the insured’s West Texas wind farm. The policy contained a London Engineering Group 1/96 endorsement, excluding coverage for design and manufacturing defects. After a fire destroyed a multimillion dollar wind turbine, the insurers initiated an investigation. They continued to investigate the loss, without making a coverage determination, for two and a half years, continually claiming the need for more documents and data. After fending off the insurer’s preemptive, federal declaratory judgment action due to lack of complete diversity, the policyholder filed suit in state court claiming breach of contract, common law bad faith, and violations of Chapters 541 and 542 of the Texas Insurance Code. The insurers filed a motion for summary judgment seeking to avoid coverage by claiming New York law would bar recovery because suit was not filed by the policyholder within one year of the fire. Following a deposition of the outside claim adjuster and briefing to the court regarding the application of Texas law, which would render the one year suit limitation provision void, the insurers resolved the case on a very favorable basis to the Policyholder. Strong Pipkin attorneys are proud to serve as leaders in our communities. Greg Dykeman was recently reappointed for a 3 year term as a Trustee for Baptist Hospital of Southeast Texas. 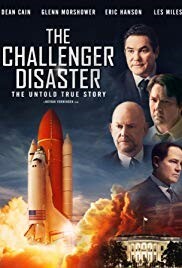 Strong Pipkin performed all of the legal work for the feature-length film “The Challenger Disaster” to be released in theaters on January 25. 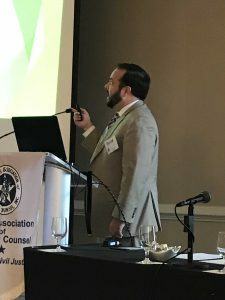 Senior Associate David Kirby spoke and presented a paper at the Spring Meeting of the Texas Association of Defense Counsel (TADC) in Charleston, South Carolina on Permissive Interlocutory Appeals. David W. Ledyard has been selected by The Best Lawyers in America© (by Levine Leichtman Capital Partners) for 2018 as “Lawyer of the Year” in Beaumont Texas in the category of Personal Injury Litigation – Defendants. Ledyard has been selected by The Best Lawyers in America© for each of the last seven years in three separate categories – Mass Tort Litigation/Class Actions – Defendants (2013-2018); Product Liability Litigation – Defendants (2012-2018); and Personal Injury Litigation – Defendants(2012-2018). Ledyard was previously honored as “Lawyer of the Year” in 2016 for Product Liability – Defendants, and in 2015 as “Lawyer of the Year” for Mass Tort Litigation/Class Actions – Defendants. Ledyard has been Board Certified in Personal Injury Litigation by the Texas Board of Legal Specialization since 1980. 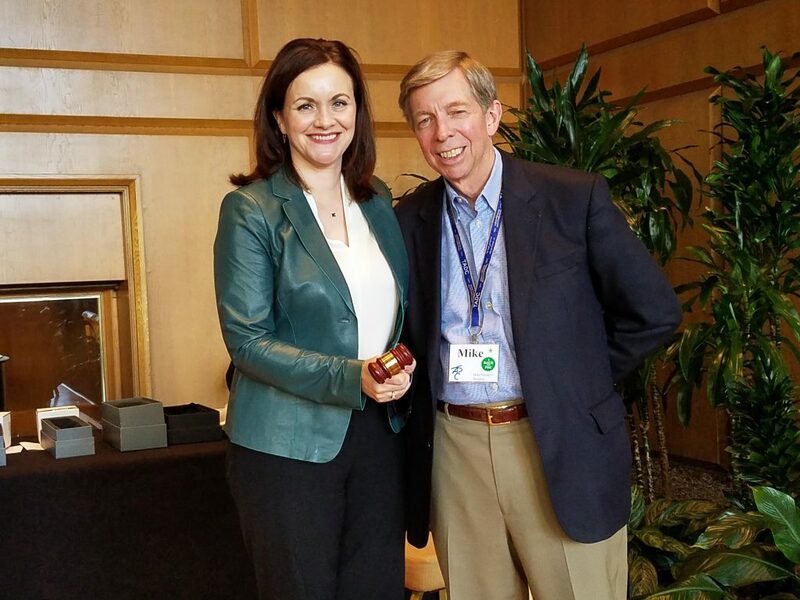 Mike Hendryx completed his service as President of the Texas Association of Defense Counsel (TADC) for 2016-2017 at the Annual Meeting on September 22nd in Seattle, Washington. With a membership of 1586 attorneys, the TADC is one of the largest professional associations of Commercial Litigation, Business Defense and Personal Injury Defense Attorneys in the United States. During his tenure he represented TADC at the Legislature, testifying on bills and working with legislators and others interested in legislation affecting civil litigation. He authored joint letters from the TADC, Texas Trial Lawyers Association (TADC) and the Texas Chapter of the American Board of Trial Advocates (Tex-ABOTA) commenting on pending legislation. 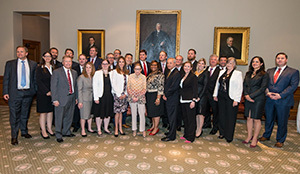 In the course of his year as President, he traveled to many Texas cities, speaking to members and interested groups about civil litigation and the TADC. Hendryx also spoke at continuing legal education sessions of the TADC and State Bar of Texas. He represented the TADC at meetings of the Defense Research Institute (DRI) and was the TADC spokesperson for issues before the American Bar Association (ABA). As President he coordinated efforts by the TADC to reach out to members who suffered from flooding or other aspects of Hurricane Harvey. 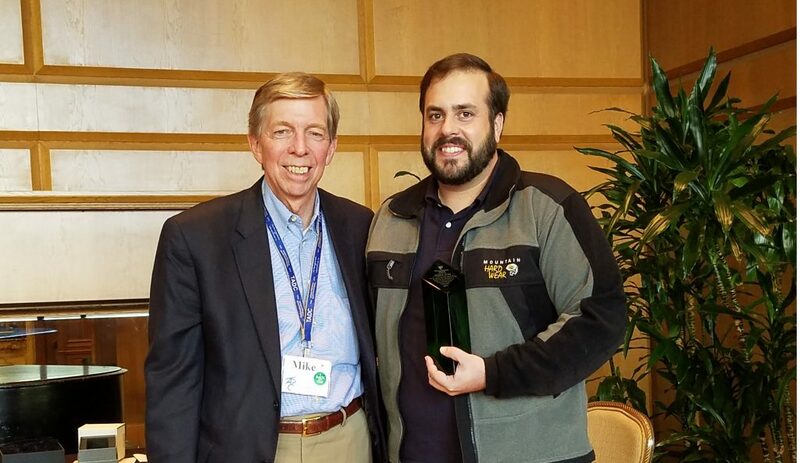 Senior Associate David Kirby attended the Annual Meeting of the Texas Association of Defense Counsel (TADC) in Seattle and was honored for his work as Chair of the TADC Young Lawyers Committee. He was selected by the TADC as the Outstanding Young Lawyer for 2017 in recognition of his extraordinary work in increasing young lawyer membership and organizing activities for your lawyers across the state. Senator Brandon Creighten, District 4, along with John L. Nau, III, Chairman of the Texas Historical Commission, recognized Strong Pipkin Bissell & Ledyard, L.L.P. with a Texas Treasure Business Award. 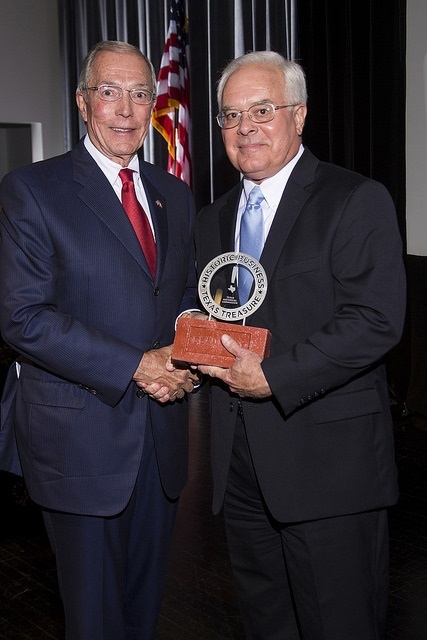 The Texas Treasure Business Award program pays tribute to businesses that have provided employment opportunities and support to the state’s economy for 50 years or more. Created in 2005, the program recognizes well-established Texas businesses and their exceptional historical contributions to the state’s economic growth and prosperity. Strong Pipkin Bissell & Ledyard, L.L.P. celebrates its 82nd anniversary this year.